How rich can a text be? How many options can one text give a preacher? The richness of options is almost overwhelming as God speaks to us as preachers and to his people. Following his temptation, Jesus begins his Galilean ministry. In summary and rapid-fire form, Matthew ushers in Jesus’s work. In this summary, we see what Jesus did in his ministry and what we can do as his followers. What are some of the options for the preacher? Jesus fulfills the prophecies found in the Hebrew scriptures (4:12–16). Jesus preaches repentance and the advent of the kingdom of heaven (4:17). Jesus calls his disciples as people who will be “fishers of men,” evangelists who follow Jesus (4:18–22). Jesus teaches, proclaiming the gospel of the kingdom (4:23). Jesus heals “every disease and illness among the people” (4:23–24). Jesus drew great crowds of people who followed him (4:4–25). Any of these options can become thematic for the sermon of the day. An oft-used and important theme is discipleship. Jeff Gibbs highlights some of these themes in the Concordia Journal, Volume 21, Number 4, October 1995, pp. 439–442. Gibbs’s focus on the revelation of Jesus as the Messiah Son of God (4:12–16), his emphasis on “the reign of heaven (which is) the long-awaited eschatological intervention of God, the king of kings, whereby he will defeat the powers of satan and evil and bring about his long-promised reign” (pp. 439–440) (4:17–23), and the calling of disciples (4:18–22) become central to his suggestions for homiletical work. Highlighting discipleship, Gibbs writes: “The first thing that Jesus does is what he desires to do until the end of the age: to make disciples…. Even as he proclaimed the gospel message (4:23) that in himself lies God’s power to save both now and on the Last Day, so does he still earnestly desire that gospel to be proclaimed to the ends of the earth” (p. 441). 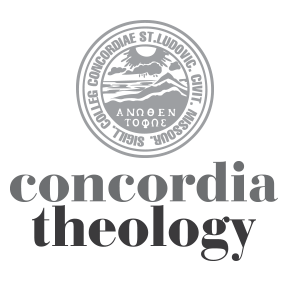 Quentin Wesselschmidt, sainted colleague, underscores the call of the disciples (4:8–22) in working with this text in the Concordia Journal, Volume 30, Number 4, October 2004, pp. 398–399. “This text provides the pastor with an excellent opportunity to reflect on what it means to be a follower of Jesus Christ, to weigh the demands, and count the cost of discipleship. The pastor can also call attention to the joys of being a follower of Jesus Christ. An excellent resource for further material is Martin Franzmann’s Follow Me: Discipleship According to Saint Matthew (St. Louis: Concordia, 1961)” (p. 399). Discipleship is a wonderful theme. It points out that Jesus brings together people to be witnesses to him. His work is what he does alone, but his work includes gathering others who carry the work on. It is, thus, our task as his called disciples to follow him and use his ministry as our example. But what work do we carry on? Preaching repentance? Certainly! Calling and equipping other disciples? Yes! Teaching God’s Word? Absolutely! Healing diseases? More difficult in twenty-first century America might be preaching or teaching on Matthew’s witness to Jesus’s healing ministry. In what ways, as followers of Jesus, do we follow him in his healing of disease? Try out Garth Ludwig’s Order Restored: A Biblical Interpretation of Health, Medicine, and Healing, (St. Louis: Concordia Publishing House, 1999). CPH says, “This book urges a return to the healing ministry by ministers, congregations, and Christians, through prayer, faith and worship…. The author describes disease as disorder, so healing requires the restoration of order in one’s life. He separates disease and illness and notes that a person can be cured of their illness by restoring order through faith and belief while still having the disease” (www.cph.org). Or, although out of print, see Martin Scharleman’s Healing and Redemption (St. Louis: Concordia Publishing House, 1968) for another excellent resource. Another easy-to-read source is W. Daniel Hale and Harold Koenig, Healing Bodies and Souls: A Practical Guide for Congregations (Minneapolis: Fortress Press, 2003). Our ultimate healing in Christ. preaching and teaching about it is quite important. But that it is easily misunderstood is not the rationale or excuse to run from addressing the question of health, healing, and salvation. As we walk through the life and ministry of Jesus, healing of the whole person is a central feature.